The downside to creating a WiFi policy with a Pre-Shared Key is the hoops you have to jump through. 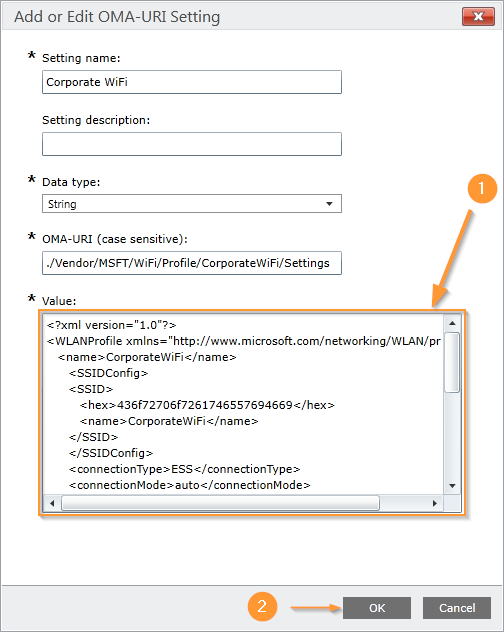 So instead of using Apple Configurator or locating the WiFi XML File on a Windows device you can use these PSK XML Generators. 1. 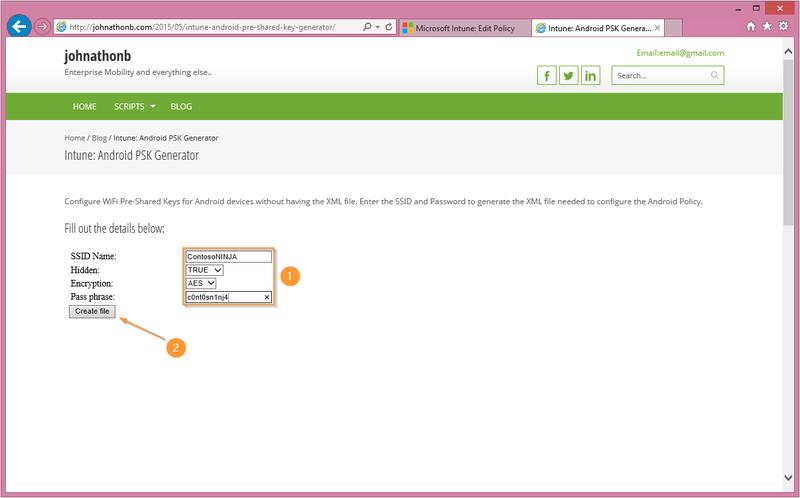 You can access the generator script from the link below: http://johnathonb.com/2015/05/intune-android-pre-shared-key-generator/ 2. Input the information into the fields and click Create file. 3. Now you can either download the xml file or copy from the text box. 4. 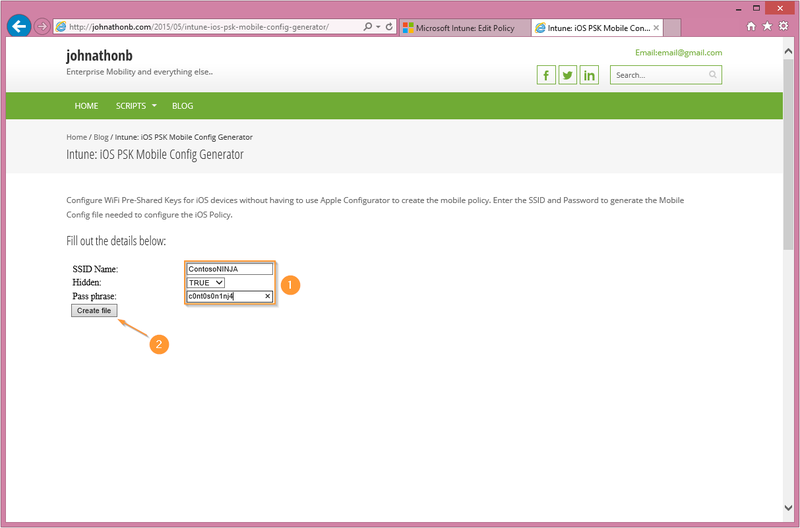 If you haven't started to create the Android WiFi Policy visist this blog: If you've already started the policy, paste the XML into the Value field and then select OK.
1. 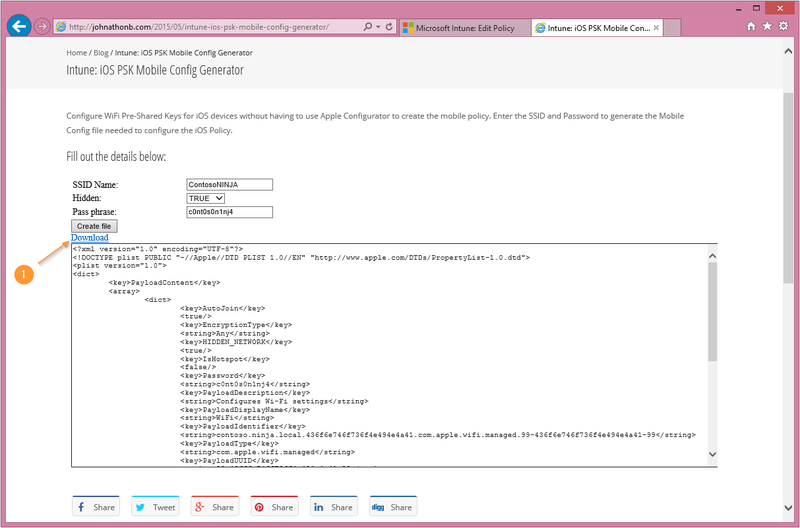 You can access the generator script from the link below: http://johnathonb.com/2015/05/intune-ios-psk-mobile-config-generator/ 2. Input the information into the fields and click Create File. 3. 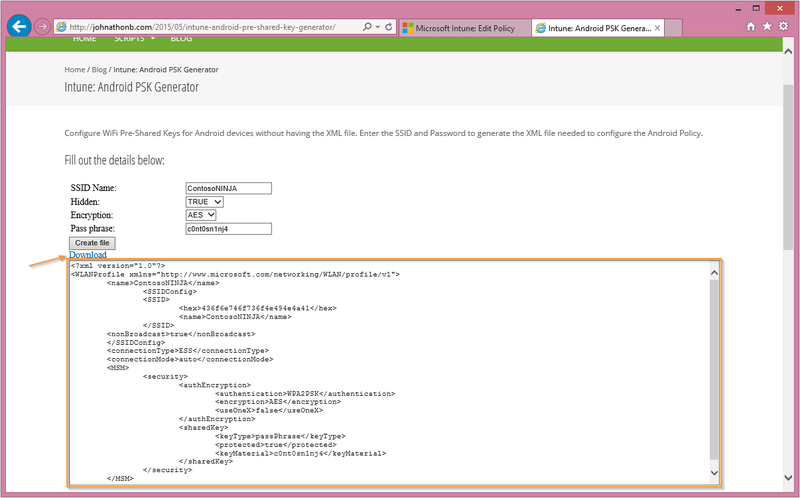 Next download the mobile config file. 4. If you haven't started to create the iOS WiFi Policy visit this blog: If you've already started the policy, import the mobile config file. 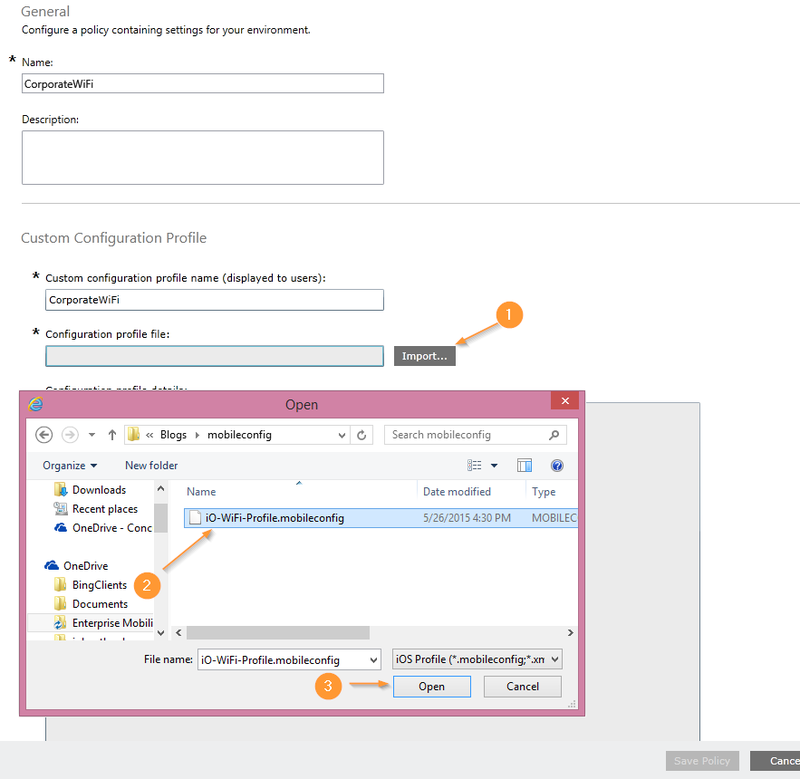 This is a great solution to be able to easily create the necessary PSK XML files needed to push a PSK WiFi Policy through Intune. Especially for administrators that do not have a Apple Computer to use the Apple Configurator. I will be posting more scripts just like that one to let users configure their iOS devices without the Apple Configurator.